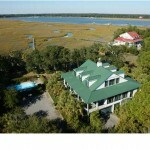 1505 Lady Anna Lane on Seabrook Island. 4 bedrooms, 4 1/2 baths, 3634 sq. ft. Offered at $2,200,000. A casually chic plantation house. Marshfront with river access all on a quiet cul-de-sac in Jenkins Point Plantation. Timeless in style, grand in dimension but intimate in presentation, this home is a “must see” for anyone ready to unwind and share this very special destination. 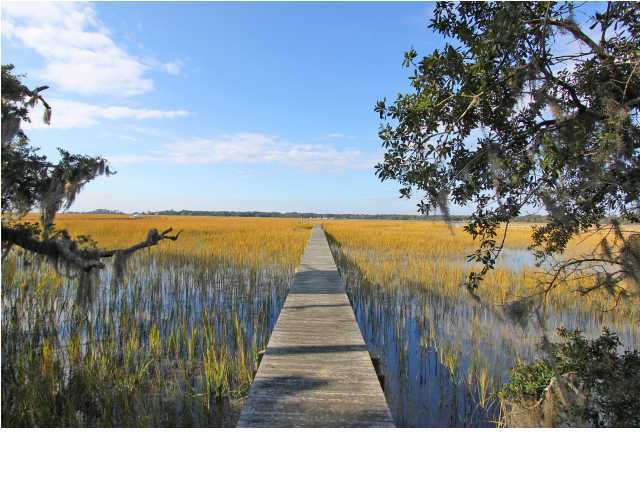 With ancient moss draped oaks framing the long marsh views across Bohicket River to Wadmalaw and Edisto Islands, this .7 acre property is one of a kind. Entertain in your 45′ x 20′ great room with its breathtaking soaring ceilings and more than 40′ of glass inviting the outside in. Enjoy cool breezes and amazing sunsets from wide dining and entertaining porches surrounding the house. 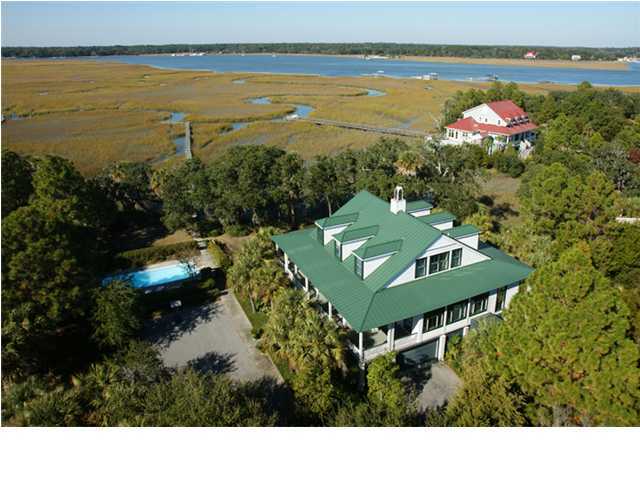 Kayak from your private dock on a tidal creek across Bohicket River to Cherry Point or Rockville or simply relax around your secluded in-ground pool. Built in 2002, the home has cedar siding, a new standing seam metal roof, wide heart pine floors and top of the line appliances. 12’ceilings and transoms throughout contribute to an open, light and bright home. The master suite, private sitting room/office and guest suite are both on the main floor, 2 charming and spacious bedrooms with en-suite bathrooms are upstairs. Parking for 5 cars under the house. The house oozes casual elegance, charm and flair. Click here for virtual floorplan, photos, and more. 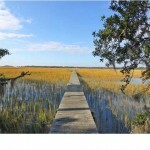 Looking for a wonderful home close to both Downtown Charleston and the BEACH? This is a great 3 bedroom, 2 bath home with a beautiful, large yard that is ideal for outdoor entertaining. The charming Craftsman style cottage has been beautifully maintained and features a sun-filled kitchen, remodeled baths, large bedrooms with spacious closets, and a sunroom. There is currently a fantastic workshop in the two and a half car garage and a huge barn offers additional storage. If you want to be in a fantastic neighborhood that is close to both Charleston and Folly Beach, we invite you to visit 366 Woodland Shores Road.